The Ultimate Storage tool trolley is a necessity in the tool shed and work place, with 15 drawers providing ample space to organise and store tools, while the lock away system keeps belongings safe and secure. 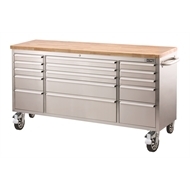 A stylish alternative in tool storage, this tool trolley is modern and versatile, made from 430 grade anti-fingerprint stainless steel and solid hardwood. 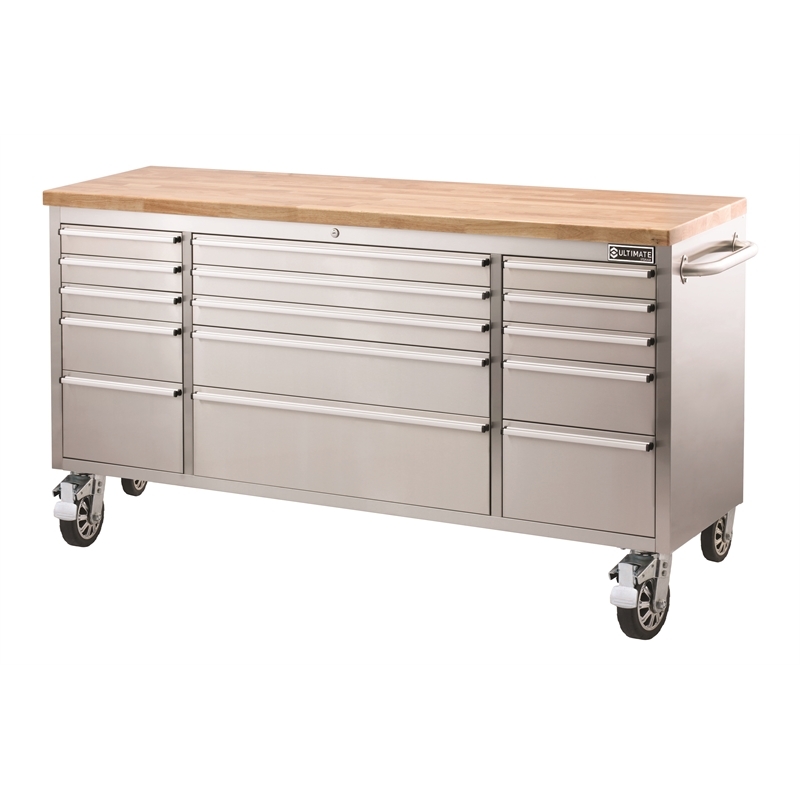 Stainless steel push handles and fully lined drawers provide a quality finish to complete the look. 6' x 2' Swivel Castors; 2 x locking & 2 x swivel. 300kg weight load each.